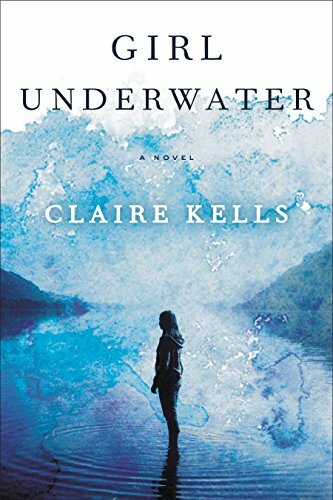 An adventurous debut novel that cross cuts between a competitive college swimmer’s harrowing days in the Rocky Mountains after a major airline disaster and her recovery supported by the two men who love her—only one of whom knows what really happened in the wilderness. Nineteen-year-old Avery Delacorte loves the water. Growing up in Brookline, Massachusetts, she took swim lessons at her community pool and captained the local team; in high school, she raced across bays and sprawling North American lakes. Now a sophomore on her university’s nationally ranked team, she struggles under the weight of new expectations but life is otherwise pretty good. Perfect, really. That all changes when Avery’s red-eye home for Thanksgiving makes a ditch landing in a mountain lake in the Colorado Rockies. She is one of only five survivors, which includes three little boys and Colin Shea, who happens to be her teammate. Colin is also the only person in Avery’s college life who challenged her to swim her own events, to be her own person—something she refused to do. Instead she’s avoided him since the first day of freshman year. But now, faced with sub-zero temperatures, minimal supplies, and the dangers of a forbidding nowhere, Avery and Colin must rely on each other in ways they never could’ve imagined. In the wilderness, the concept of survival is clear-cut. Simple. In the real world, it’s anything but.